Photo by Vanco Dzambaski, used with permission. 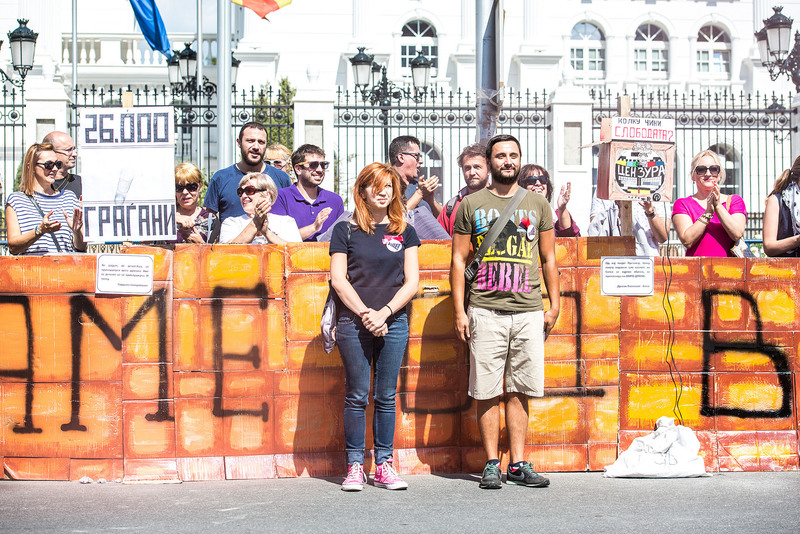 Activists from the Macedonian citizen platform Ajde-Hajde reacted to the government's decision to erect an iron fence around the main government building in Skopje, as well as all other walls erected by decision-makers in Macedonia, by inaugurating a wall of their own. The sign contains a play on words, using the word “fencing” to mean “distancing”. 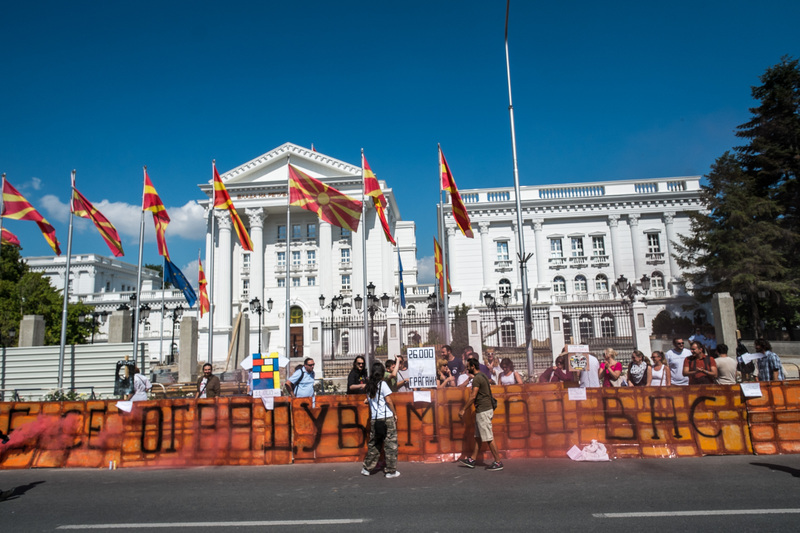 As a reminder, activists also carried messages featuring quotes from the several illegal wiretap recordings leaked  by opposition leaders in recent months, colloquially called “bombs” in Macedonia. The leaked recordings have caught several Macedonian top officials and politicians abusing power, discussing cover-ups of major crimes and election fraud, as well as making a variety of corrupt deals in telephone conversations.